It has been a hectic year for us—we have had visitors from Michigan and China and a huge move of our business to the new beautiful location. The Coastal Breeze has suffered however—not much time to write at all, but I have gathered loads and loads of information to share in future issues. My great friend Trish was enjoying Norway for a six weeks and sending me gorgeous photos of the Northern Lights. Reminded me of summers on Lake St. Clair in Canada when we could see them too! 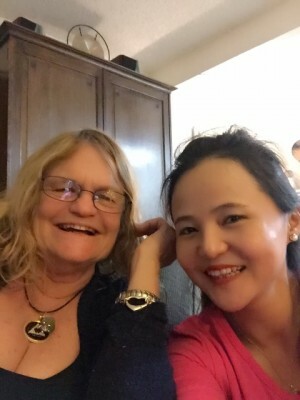 Our new friend ‘Sara’ from China was a delight! She spent a week here and we all learned a few words of Chinese and how to use ‘translation software’. 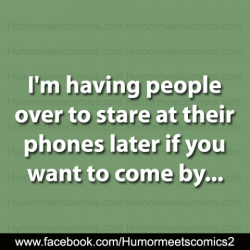 I think we all should entertain visitors from other countries whenever possible and learn how much we are all alike! It was a wonderful lesson for me. 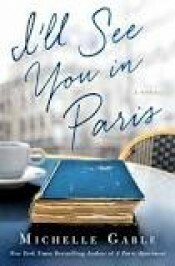 I’ll See You In Paris— Michelle Gable This book is based on the real life of Gladys-Spencer Churchill, the Duchess of Marlborough. What a fabulous story. It was one of those books that I hated to end!! I wanted more, more more! Who Owns the Future— Jaron Lanier Why does the Internet only pay those who are the gatherers of information? Should it not work both ways and we who supply information be paid at the same time? Lanier admits that the internet plays a bigger and bigger role in the decimating of the middle class and in creating challenges to employment and personal wealth. There is an alternative—we all should be rewarded and the technology is there to do it! No more ‘free’ surveys for me. Remember ‘Focus Groups”? Alex Koyoumjian, an Armenian Immigrant, landed in Chicago at age 17 to follow the American Dream. His father was a beautiful tailor and Alex had learned that trade with precision. He quickly became a supervisor at the prestigious Brooks Brothers. In 1960 Alex married his true love, Rachel and they moved to Sunny California and opened a tailor, cleaners and gift shop near Century City until the 1971 Sylmar earthquake . 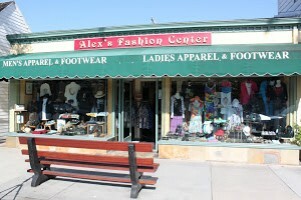 At that point Alex and Rachel picked up and moved to Balboa island where they opened “Alex’s Fashion Center”. Through hard work, long hours and dedication they grew their business. At the same time they had support and help from their growing family of three children—Sylvia, Nazareth and Rosalyn. Now there are an additional 9 grandchildren and a ’dynasty’ on Balboa Island. 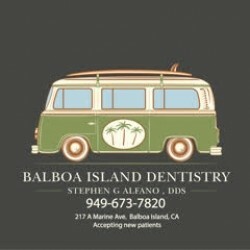 For 43 years they have served Balboa Island with quality men’s and women’s shoes, clothing and accessories. Their unique customers call them the ’Mini Nordstrom’ - service with Hugs, Kisses and Handshakes. Alex and Rachel and their extended family personify ’The American Dream’ and the ’Icons of Balboa Island’. They are part of a group of people who made the Spirit of Balboa Island what it still is today!! It is that time of year again—Christmas will be here in our beautiful village before you know it. Time to think about decorating your house with Christmas Lights—they give that warm and inviting holiday feeling. Balboa Island is a destination during the holidays. Our home decorations are the most important reason people come ! Our displays showcase our love and creativity. And yes, it is important WHO we hire to do the decorations. Mike McCleur and Damon Burris of Island Lights have been working on Balboa Island for 20 years. When they started they were single guys and now they are married with children. Time really does fly! EXTERIOR LIGHTING par excellence!! Give them a call soon and book your time—things get hectic once Halloween is over. Mike @949.903.9018 and Damon @949.307.8613. Since 1977, New Directions for Women (NDFW) has been serving women of all ages, women with dependent children, and pregnant women. We were founded, in part, by Pamela Wilder in 1977, with the support and assistance of the Junior League of Newport Beach. Our treatment facility was created in response to a shortage of affordable and accessible rehabilitation treatment services for women suffering from alcoholism, substance use disorder, and other chemical dependency problems. New Directions for Women is committed to the healing of the entire family that has been profoundly affected by the disease of addiction, and specialize in treating the children both living and not living with their mom throughout their treatment experience. In addition to individual therapy sessions and process groups, we offer specialized psycho-educational groups such as relapse prevention, communication, grief and anger management, and life skills workshops to facilitate growth. The entire environment – from the recovery homes to the meeting rooms to the headquarters – is luxurious, inspiring and tranquil, with a markedly spa-like, sanctuary feel. Meditative decor and soothing water fountains burble of a safe place where patients learn holistic, multifaceted methods to heal their bodies, minds and spirits; free to pursue recovery with dignity and respect. New Directions is exclusively for the mothers, wives, sisters and daughters among us who suffer in silence, steeped in shame. If a wife, mother, sister or daughter in your life is struggling with addiction, call: 1-800-93-WOMEN or email , because to love her is to help her. Visit us at http://www.newdirectionsforwomen.org. Why did the coach enroll the quarterback in drama class? So he could learn all the PLAYS. Why did the defensive coach take a fishing trip before the game? Why did the rookie show up to practice with a paper bag?